U-1Enzymes have an active site to which specific substrates bind. U-2Enzyme catalysis involves molecular motion and the collision of substrates with the active site. U-3Temperature, pH and substrate concentration affect the rate of activity of enzymes. U-5 Immobilized enzymes are widely used in industry. A-1. 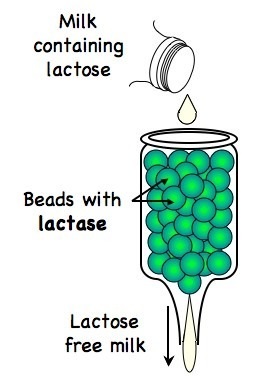 Methods of production of lactose-free milk and its advantages. S-1. Design of experiments to test the effect of temperature, pH and substrate concentration on the activity of enzymes. Enzymes are globular proteins that increases the rate of a biochemical reaction by lowering the activation energy. They can be referred to as biological catalysts. The region or the site on the enzyme to which the substrate binds is called the active site. Enzymes and catalysts both affect the rate of a reaction. The difference between catalysts and enzymes is that while catalysts are inorganic compounds, enzymes are largely organic in nature and are bio-catalysts. Even though all known enzymes are catalysts, all catalysts are not enzymes. All known enzymes are proteins. They are high molecular weight compounds made up principally of chains of amino acids linked together by peptide bonds. The enzymes work by attaching the substrate to the active site, forming the enzyme substrate complex which finally give the products. 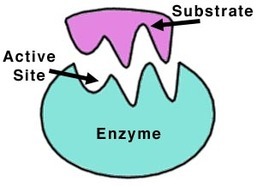 Enzymes have a specific shape; substrate has a specific or complementary shape to the active site of the enzyme. 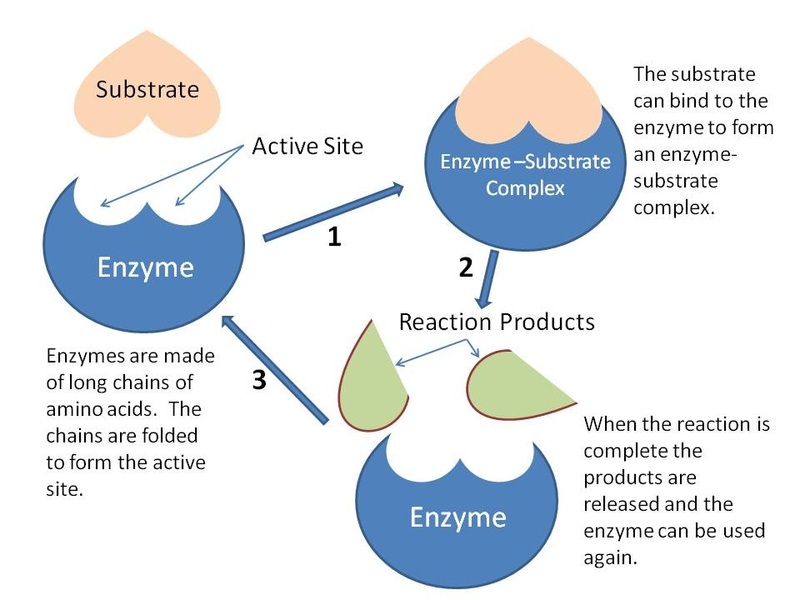 The active site of enzyme binds only to specific substrates. Active site works as a lock and substrate as a key. This the lock and key model. Effect of temperature, pH and substrate concentration on enzyme activity.